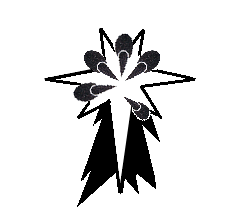 Starting from next week, I'll be working on my own project for the Astronomican forums' Tale of Gamers. Along with ten others I'll be working on building up a 1500 points, 40K army in only six months time, which will also mean there will be a weekly project update and a monthly progres overview (both for myself and the other hobbyists involved). It is particularly fun to seem that there are a lot people joining in on the fun for very different reasons. Some just to start a new force, others will use the Tale to finish an already running project, for me personally it will be an extra motivator as well as a chance to combine a ton of smaller, old projects into something new and useful. For my 1500 point project I will be going with the Tyrant's Legion, an armylist included in Forge World's Imperial Armour 9.1. This list provides the gamer with a rather interesting combination of Space Marine, Guard and unique units to play around with. While normally the Space Marines are seen as a surgical knife, striking with great purpose and precision, the Astral Claws of the Tyrant's Legion are different though. Under the ruse of training duty, the Tyrant hid large Space Marine units among the Auxilia troops of the Badab system. 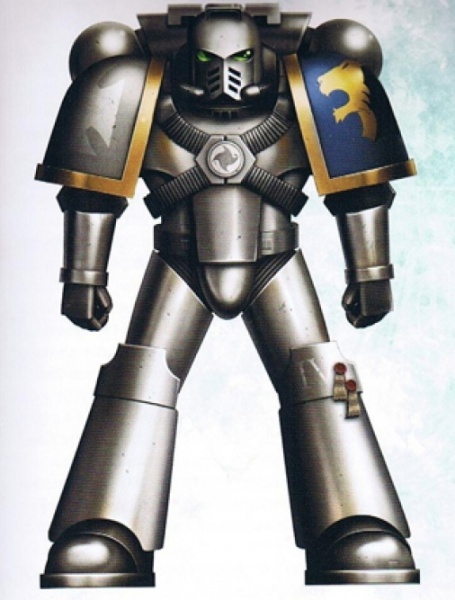 When, eventually the Badab war started nearly every warzone not only included large number of militia, but also fully functional Space Marine cohorts who were more than willing to use the auxilia forces as a human shield. II - WHY THE TYRANT'S LEGION? The force has a very strong theme and a lot of units that are challenging to build and use. I've had a soft spot for the Badab War ever since I first read about it and Forge World did a fantastic job on both books discussing the conflict. The Astral Claws and Lufgt Huron in particular have always intrigued me, though certainly renegade they did always differentiate themselves from the pure evil of the Chaos Space Marines. In fact, the first book really discussed in great detail the intricasies and difficulties the chapter dealt with, both when dealing with neigbouring greed-driven, loyalist systems and the vile Maelstrom they were intended to defend and/or conquer...................eventually though, they would become nothing more than cruel taskmasters and piratical raiders. They are certainly the bad guys, but their struggle has something rather tragic about it. Secondly, the armylist in question has a very nice mixture of elite units (Astral Claw Space Marines) and the rather unlucky, conscripted souls that got stuck in the middle of the Badab conflict (remainder of local troops and en mass conscripted workers and civilians). Tons of room for both uniform heraldry, conversion work, as well as plenty of opportunity for future expansions. The Renegade Marauder entry in the Elite section in particular is bound to get my creative juices flowing before the project comes to an end. 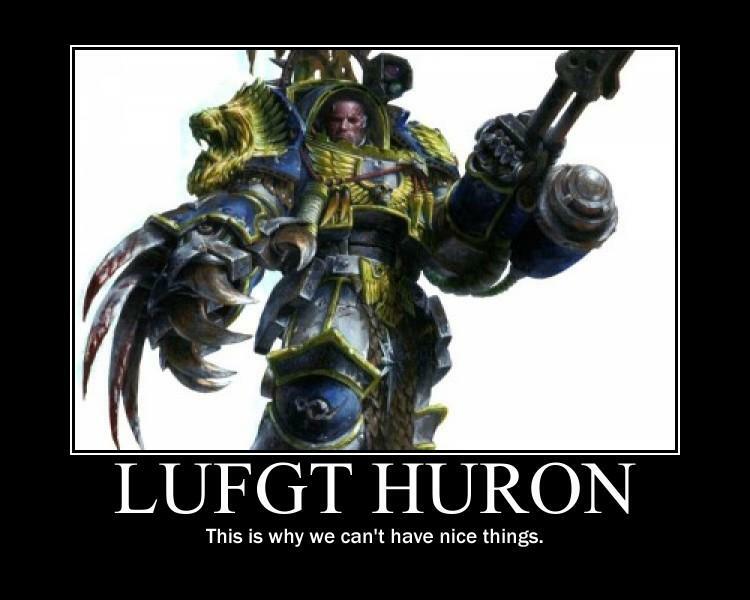 And there's always the big guy himself - Lufgt Huron! The overall goal for all participants is to build a 1500 point army, personally though I'm going for a 1000 point list that can be expanded to 1500 points. At 1000 points it will give me a nice, easily playable force should I get the chance for a game or two, while the expansion to 1500 will lead to the inclusion of a named character and some extra fun stuff (including the Thunderfire Cannon). Naturally a new projects warrants some new purchases, so over the next couple of months there will be some Forge World and Pig Iron bits and units passing by. Speaking of which, the next update will focus on the armylist as well as the first unit - Auxilia Armsmen Cadre. Like many of the other regulars in the force I will be using Max Mini sculpts as a starting point, so the Master at Arms below will be getting plenty of company very soon! Definitely interested, alwats happy to share stuff and get inspired by fellow hobbyists (particularly when it concerns a somewhat nice area of the background)!